This is the second and last week I’m going to ask you to pitch in to keep Radio Ecoshock on the air all over the world. Last week listeners were generous, and I will be writing to thank each of you. Whether you made a one-time donation, or signed up as a monthly subscriber, I’ll work hard to keep delivering this unique content to you. But we are less than half way to the goal I need to fund the program for the coming months. Please help. There are several options on this page. That short summary contains a world of meaning. The authors are Victor G. Gorshkov and Anastasia Makarieva. Both are from the Theoretical Physics Division of the Petersburg Nuclear Physics Institute, in St. Petersburg, Russia. The pair have issued a number of papers that have stirred global discussion. A couple of weeks ago on Radio Ecoshock, we talked about just one of their theories: how forests can create conditions for their own rain, even far from the sea. Our next interview comes from a scientist and theorist who shakes things up. I expect to learn from her. No doubt you and I will not agree with everything. I will save my comments until after the interview. From St. Petersburg Russia, Anastasia welcome to Radio Ecoshock. You can download or listen to this 48 minute interview with Dr. Anasstasia Makarieva in CD Quality (43 MB) or Lo-Fi (10 MB). It’s a pleasure to have this chance for discussion. Let’s start with that powerful quote from her 2004 paper with Victor. She presents the idea that our life-sustaining environment depends on large parts of the planet operating without our interference. Many think that may be true, but how can you prove it scientifically? Listeners, think about this. Suppose our civilization managed to clean up industrial pollution. Humans expand with clean technology. Even so, these authors say, if we penetrate too far into the lands where nature operates, we still lose a planet fit to live on. Finally in that 2004 paper abstract, Anasstasia and Victor claim the acute threats we face today justify rethinking “the foundations of ecological science.” That is what they proceed to do, occasionally running into some objections and resistance. 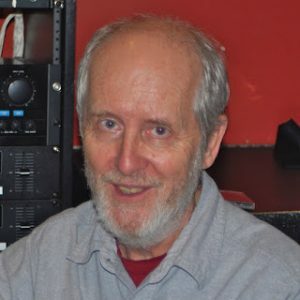 Our recent Radio Ecoshock guest Dr.Douglas Sheil from the Norwegian University of Life Sciences works to study and preserve tropical forests. He cited work by these Russian scientists and something called a “biotic pump”. Listeners can find a good description of the biotic pump theory, and many other matters, at the web site http://www.bioticregulation.ru/ . The biotic pump is part of a larger system proposed by Victor Gorshkov and Makarieva, which in English is called “biotic regulation”. The concept of biotic regulation reminds me of the theory brought forward by Dr. James Lovelock, which he called “Gaia”. Lovelock originally thought life itself created conditions for the continuation of life – but he has since withdrawn that. My understanding is this theory of “biotic regulation” is that different because it is more based on physics, but not just physics. One of the complaints the authors make is that science and scientists have become too broken up into specialties, at a time when a complex problem requires many different types of expertise. Several times in their work I’ve come across the key process of what happens when water changes state, from a vaporous gas to water or ice, – or back again. That is a new understanding Gorshkov and Markarieva bring to the table. It applies even to the way forests can generate their own particles which cause atmospheric moisture to condense into rain. That process lowers the atmospheric pressure, they say, which induces winds to flow toward the forest, carrying more rain. In that sense, the trees help to create the weather they need, even deep inland in places like the Amazon. If inland forests can draw moisture from the ocean, using a chain of intervening forests, then our guest Douglas Sheil raises another significant worry. He writes, quote, “It suggests that even localized forest loss can sometimes flip a wet continent to arid conditions.” So if we cut down parts of the forest continuum, an entire continent can flip, these Russian scientists say. Perhaps that is why the interior of Australia became so dry, after the first aboriginal people cut down the coastal forests? Did human activity help flip the Sahara from it’s former greener state to the present great desert? More research is needed. In 2008, three Dutch scientists objected to their paper “Biotic pump of atmospheric moisture as driver of the hydrological cycle on land”. A lot of discussion followed. Gorshkov and makarieva reply here. Their first response is here. Their listing of responses and media coverage here, on their neatly cataloged web site. Their work has been published in some of the top scientific journals, including the Proceedings of the Royal Society and in Physics Letters. Yet their 2008 paper on hurricanes was eventually rejected by “Atmosphere Chemistry Physics”, the open-access journal of the European Geosciences Union. Their theory of hurricanes, becomes very relevant after the huge devastating hurricanes we’ve just seen sweeping the Caribbean, Florida and Texas. In the interview Makarieva tells us that paper was subsequently published elsewhere. The 2008 paper on hurricanes was “On the validity of representing hurricanes as Carnot heat engine” A. M. Makarieva et al. The Wiki explaining “Carnot heat engine” is here. It worries me that most of the discussion about Gorshkov and Makarieva’s more recent work, especially the theory of where winds come from, can be found in the blogs of climate deniers, like Anthony Watts and climate confusers, like Judith Curry. I ask Anastasia about her position on climate change. She agrees the world is warming, but proceeds to give us a purely biological description of that process, omitting any mention of fossil fuels. I comment on that a little further down. So we get into a discussion about the weakness of climate models, and the need for more research into the actual operations of nature, on the ground so to speak. Mainstream science assumed an atmosphere which operates according to rules of physics, especially temperature. Living things like trees and humans were considered passive players. Now we know humans are changing the atmosphere, but forests are also major players. You may also be interested in this study, co-authored by recent Radio Ecoshock guest Douglas Sheil. Before you get that nasty email ready, yes I did hear Anastasia describe global warming as a biological phenomenon caused by humans. She dodged the role of fossil fuel emissions which most scientists on this program cite as the leading driver of climate change. Let’s break that into two parts. 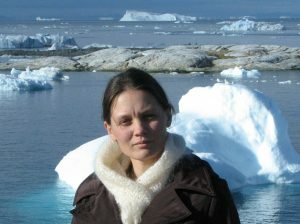 First, Dr. Makarieva is a state-funded scientist in Russia, a country whose largest single exports are oil and gas. Although nominally a democracy, the Kremlin discourages climate activism, and may remove academics who as they see it threaten the national interest, or worse. We could say it is in the interests of the current government to dismiss criticism of fossil fuels, and to sow doubt about the real causes of climate change. But who are we talking about? Russia, or the Trump administration, which is dismantling climate science, and appointing deniers to key posts. The current government of Australia is not much better, and Canada is just emerging from ten years of muzzling climate scientists. There are scientists in many countries who cannot say all they would. The second part is more subtle, and I think, more important. 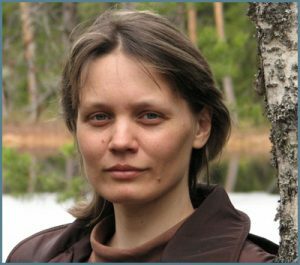 As you heard in this interview, Anastasia Makarieva is passionate about forests and the living world. She sees the important role of biology in controlling climate, being lost in the noise about fossil fuels only. Makarieva is not alone. I hear fairly regularly from forest campaigners who see vast areas being lost, with all the wildlife and biota that depend on the trees. But to get funding, they have to stress the carbon role, the climate angle. We could expand that to anti-nuclear campaigners, and activists who are fighting off bee-killing pesticides or other poisonous wastes. It’s fair to say that the general destruction of the planet can at times get lost in our fixation on the singular doom of climate change. That is where we can draw a lot from Gorshkov and Makarieva. Even so, the vast majority of the world’s scientists say the most immediate threat to a livable climate comes from human-induced emissions, and fossil fuel burning in particular. If we carry on with the carbon economy as it is, I doubt that civilization-as-we-know-it can survive. Somehow, we have to keep both in our thoughts and actions: the broad human changes to the natural world, and our dirty habit of polluting the atmosphere with greenhouse gases. If we drop either one, we lose. Makarieva and Gorshkov are not the only ones championing the renewed role of nature in the battle against climate change. The next interview fits in perfectly. Just a couple of years ago, the climate solutions we heard from pundits and governments was mostly about industrial solutions to industrial pollution. How times have changed. A new paper coming out in the prestigious Proceedings of the National Academy of Sciences outlines 20 steps we can take to work with nature instead. The effort was led by The Nature Conservancy, with 32 authors from a slew of Universities and countries. The title is “Natural climate solutions”. If we are going to have a habitable future, this may be it. The full text of this study is here. Louis Blumberg is the director of the California Climate Change Program of the Nature Conservancy’s California Chapter. He has a long history in climate solutions, while working for the EPA and the State of California. The authors find that up to 37% of the carbon reductions required to meet the Paris Agreement goal of staying under 2 degrees C of global warming can come by “natural” changes to the way we interact with nature. The primary sources of these reductions apply in forest management and of course, in agriculture. As Louis tells us, the State of California, along with the Nature Conservancy, has already started saving carbon, and off-setting other pollution. I express my doubts about carbon offsetting, but Blumberg says it works. I’m not sure how certain we can be about containing carbon in forests, when they can burn down, as happened widely here on the West Coast of North America this year, including in California. In general though, this paper shows more ways to help stave off terrible climate change than any other study or book I’ve seen. It’s a big range of options. Now we just need to get governments to stop walking away from climate reality, and start using these solutions. You can find your nearest chapter of the Conservancy at www.nature.org. Explore more articles by our guest Louis Blumberg here. That’s it for this week. Feel free to add your own comments to this blog. Sorry if it takes me a few hours to check and approve (I weed out any advertisements and spam, but do approve criticism). And PLEASE HELP ME GET THE RADIO ECOSHOCK BANK ACCOUNT UP TO MEET THE COSTS OF THIS SHOW!